EF64? taking a passenger car away? 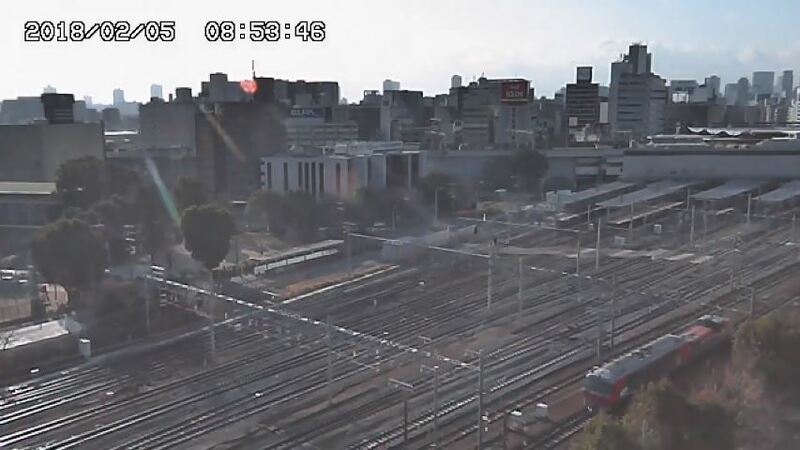 Probably from the Shin Osaka Yards? Not easy to get onto that road though... unless they ran all the way around through Osaka station. 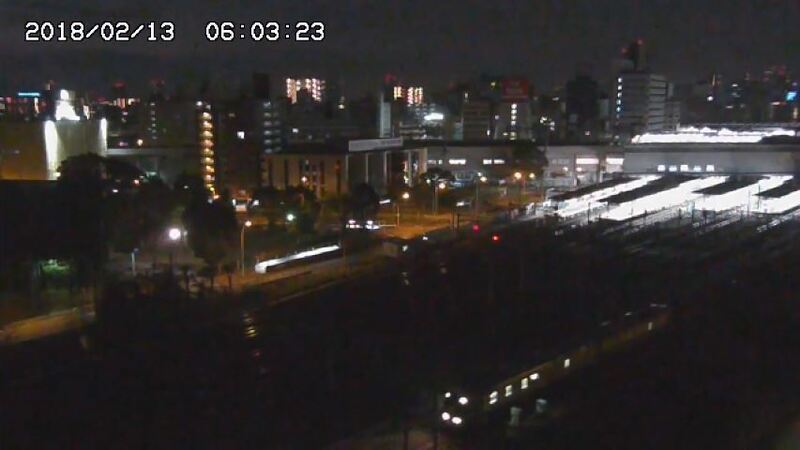 Update: Thanks to the JR West Facebook Group, I've been informed this was a trial run of the OHA12 Passenger car between Miyahara (this is the name of the yards that run along the southern edge of the shinkansen platforms at ShinOsaka) to Umekoji. The camera is no more... it was great while it lasted. 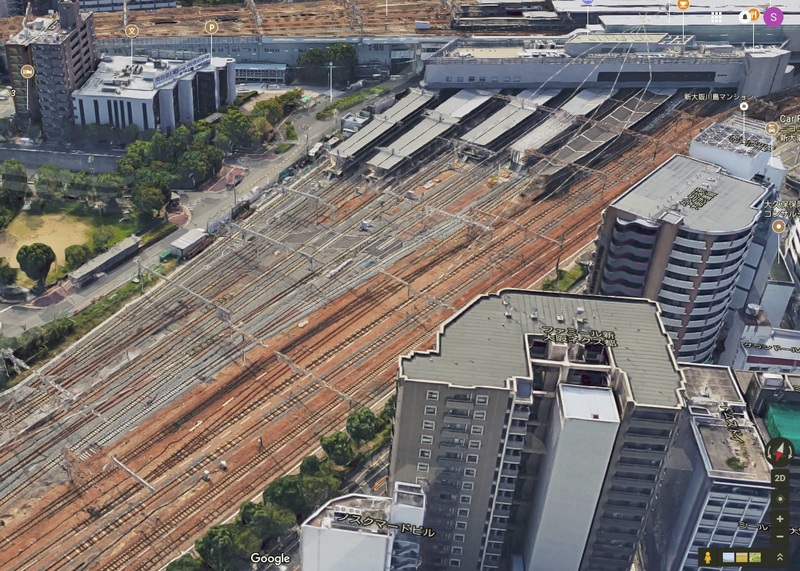 Whilst checking out the new higashi-loop construction, I tried to re-create the location of the camera. Google maps is nothing short of ridiculous. Thats too bad, I wonder why it was taken down. It's fun trying to find the locations of the various cameras on street view. And then it goes back the way it came at 14:28. What locomotive is pulling the Koki? 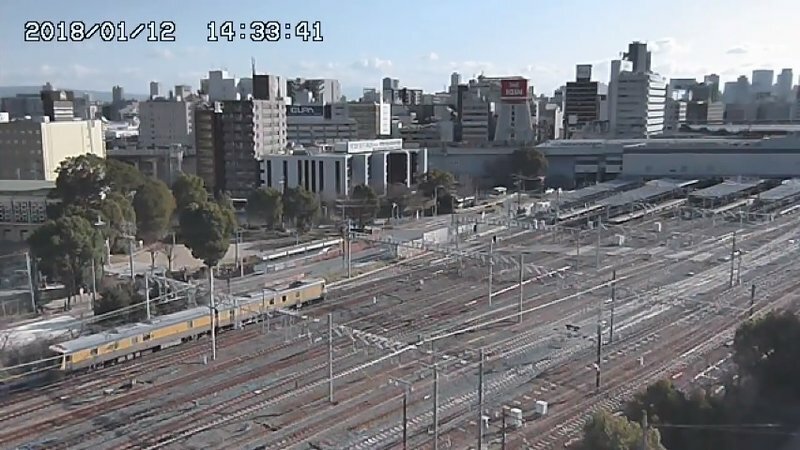 Is it a EF200? 14:40 is also an EF210. DD51 seen towing a DE10 westwards. Chances are good these are usually off to Kawasaki Heavy Industries. But it could just be a locomotive shuffle. Plus an EF510 with a railset. 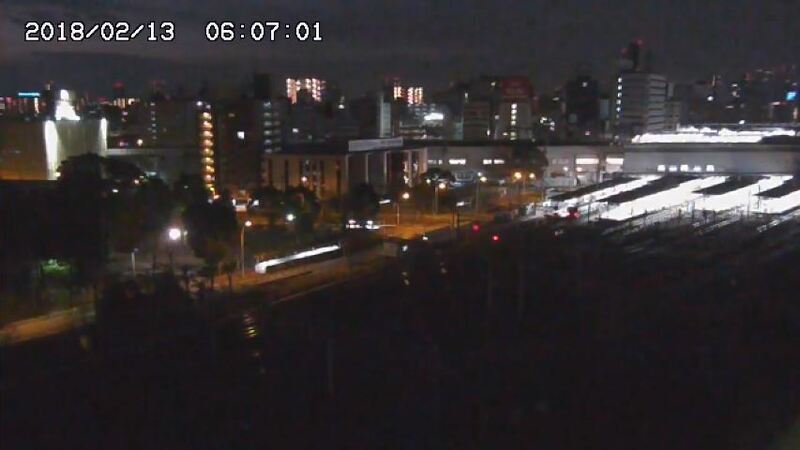 And then a lone-wolf EF66 heading off to Ajikawaguchi. An EF210 with a headmark? Hopefully someone on Facebook comes up with a photo. 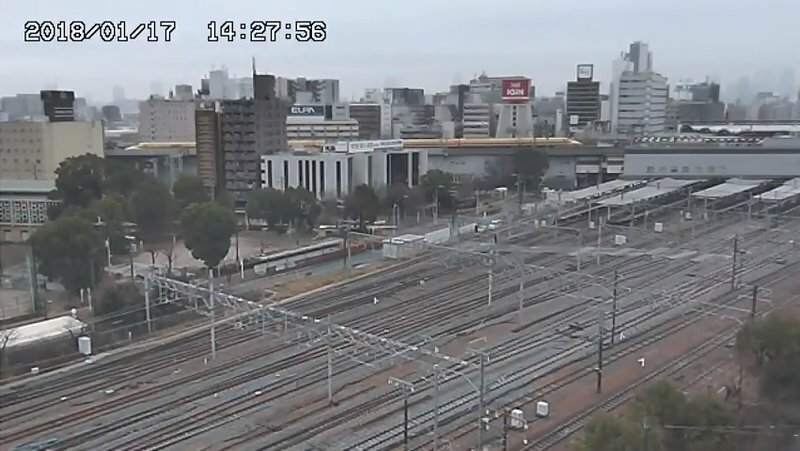 I suspect no freight locos, especially diesels, are now allowed through Osaka Station or even if there would be available paths so I suspect the DD51s may going to either Ajikawaguchi or Kudara freight terminals or down to Okayama. There is usually a DE10 and sometimes a DD51 stationed in the Miyahara yard. The remaining DE10/11 stock in the JR West area have main services at Okayama so they are frequently seen either light engine or being towed dead to and from the various freight terminals. It sure is a 510... I've updated my post. 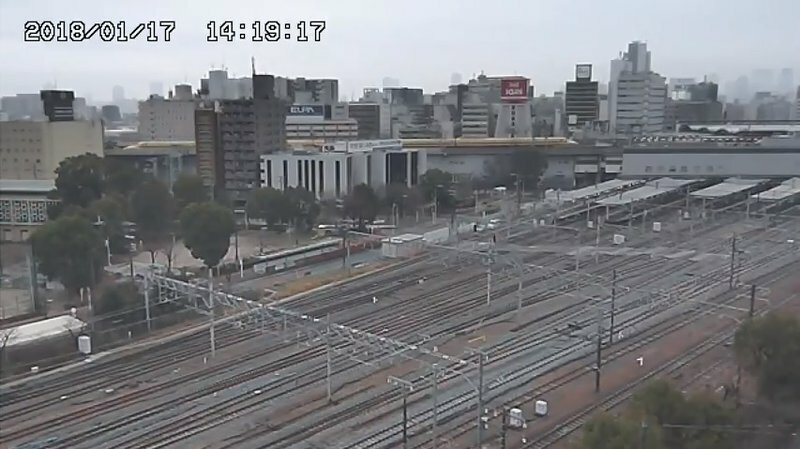 As for diesels not allowed through Osaka... the DD51s on any of the far tracks have no real other option than to go through the station. 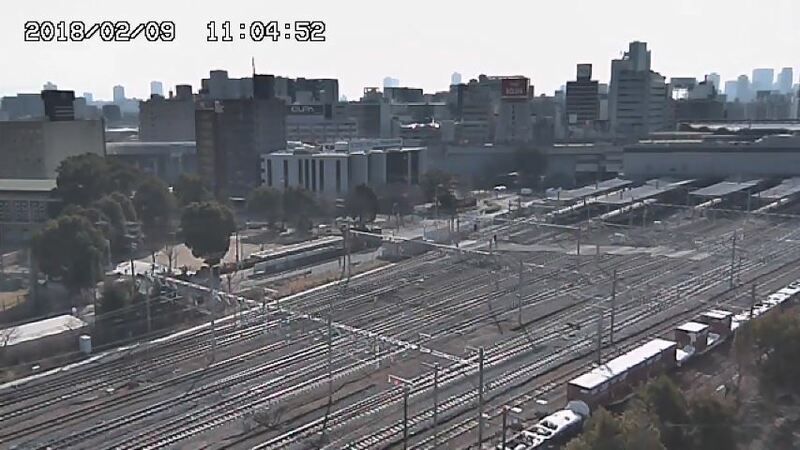 The track layout from the camera to Osaka station doesn't have any crossovers to get them to the 'express' tracks past the old Umeda yard. But yes, the diesels on the tracks closest to the camera are definitely off on their way further west. 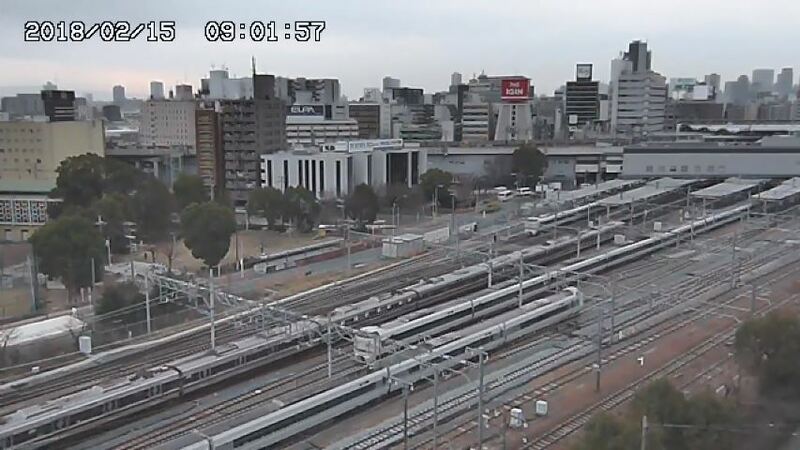 More rail trains today. This time a DE10! Another maintenance vehicle today... currently googlin' the car type/number. 143 Series? KUMOYA I believe. 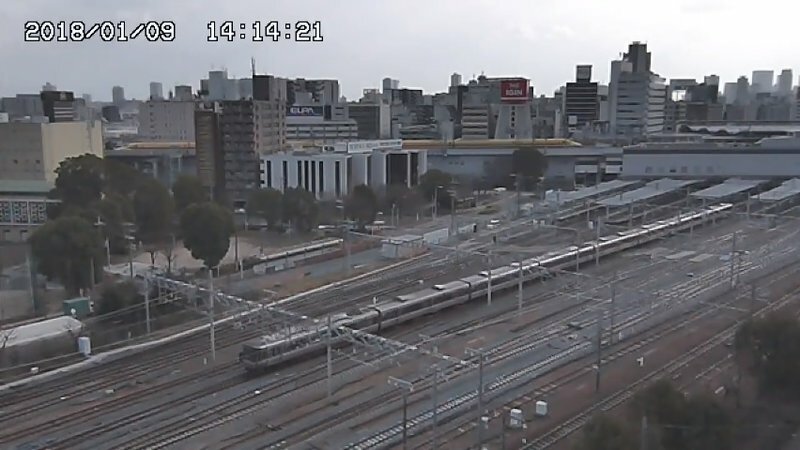 DE10 hauling DF200 to Kawasaki? Snow on the containers and flats! But not in the area. Were would they have come from? Could the train have come from the mountains? 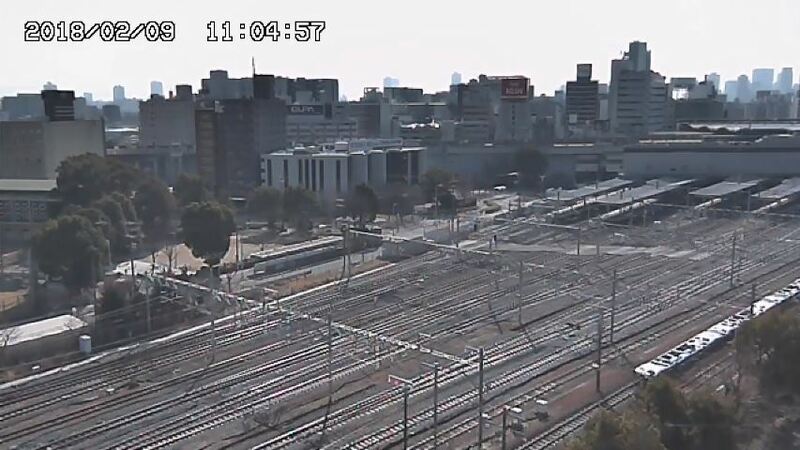 I need to check my timetable, but it's probably come down the west coast of Lake Biwako from Toyama or somewhere north. There were reports of heavy snow in Fukui. Meanwhile it was the only train with snow on it for the day. And today... we have the Salon Car Naniwa EF81? Or is that the other ED that often pulls it? 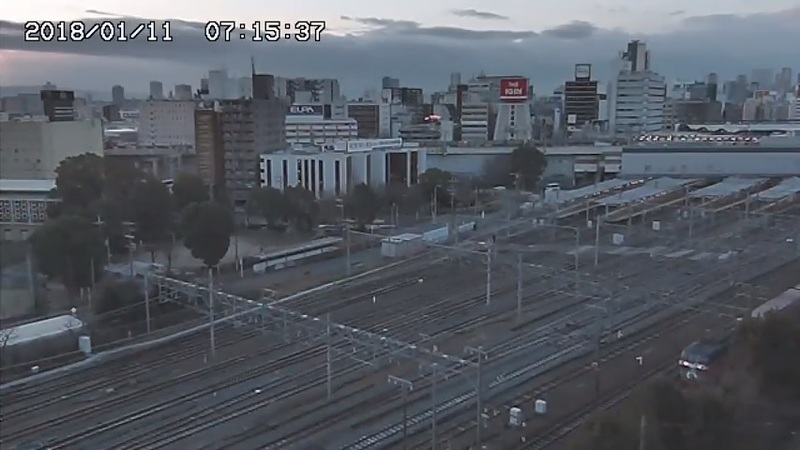 Running into Osaka. Already some interesting movements this morning. The JR West Inspection train came through heading East. 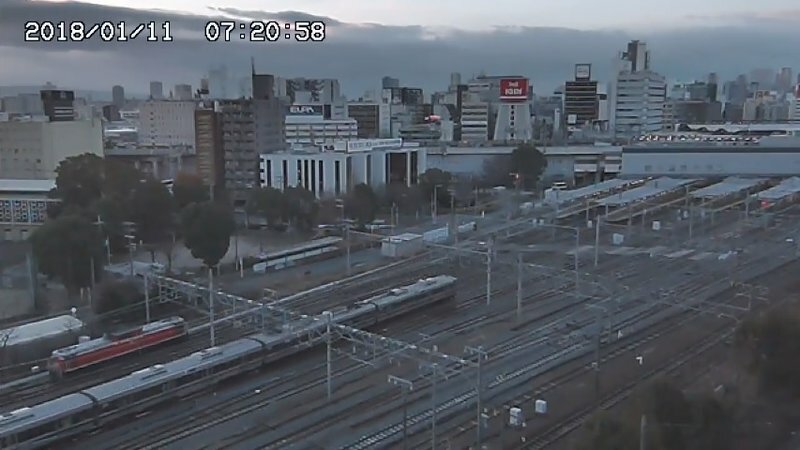 And then the EF81 from the Twilight Express/Salon Car Naniwa went west again on the Osaka-bound track. 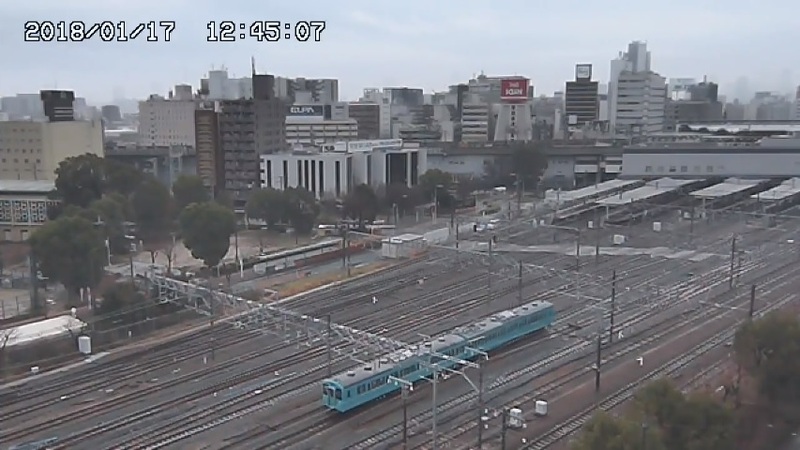 Not often you get an orange 201 series through Shin Osaka!